Buying the best table saw can be a momentous experience. When you get your tool delivered, you need to learn how to use it in the right manner. Once you have gathered adequate knowledge, you will be surprised at how much you can actually do. As a beginner, you should not take anything to chance as it is quite dangerous to operate it, without proper knowledge. There are so many things that are posted on the internet when it comes to the use of this tool. However, I always insist that you should never go ahead of yourself and ignore the basics. The purpose of this guide is to give you a balance of safety and proper techniques. Let us start with the safety matters. You will notice that I will overemphasize on the safety procedures in this guide. You need to observe all the safety precautions. As a way of making this easier to comprehend, let us look at safety in relation to all the cuts that you make. There are certain fundamental things that will apply though, as far as safety goes, when working with the table saw. By now, you should have come to terms with the safety clothing that you need to wear when operating it. In addition, you need to be in a position where you know all the essential accessories like rip fences and miter gauges, zero clearance inserts, blade guards and push sticks among others. I will also assume by know you already know that you should never make any adjustments without turning it off, and unplug it from the power source. At any point, if you feel like a cut is unsafe for you, then there is a very high possibility that it is unsafe. You should find a different way of executing the cut and if you need help you should ask right away. Never attempt to make cuts on several work pieces at ago; it should be one cut at a time. In addition, irrespective of your level of expertise, you should avoid freehand cutting. Always use the right jigs like feather boards, miter gauge, rip fence, push sticks, etc. Before engaging the piece of stock to the blade, you will want to make sure that the blade is spinning at the right speed. When making cuts, the blade should be spinning against you and remember to stay clear in the direction of the blade. This is where the push devices come in handy. When setting the blade height, it should be such that the bottom of the gullets is flush to the surface of the table saw. With these few pointers, you should be able to operate the best value saw without any hitches. The most fundamental thing to remember is that proper technique is paramount for your safety. With this issue addressed, we can now dive into various cuts that you can make as a beginner. Rip cuts must be the very basic cuts that you can make with the saw. Any cut that goes along the grain is known as a rip cut. The process is usually referred to as cutting to width or ripping. In order to do rip cuts, you will need to use a rip fence and place it in the right place. When making the rip cut, you should stand on the opposite side of the fence such that you will be able to apply adequate pressure to the work piece. The wood should stay flush against the rip fence so as to ensure maximum accuracy. You should have push sticks when making rip cuts, to enhance your safety and also have the zero clearance inserts if you intend to rip boards that are narrower than 6 inches. When you are ripping long pieces of stock the key thing to focus on is supporting the stock all through. If you need some assistance, you should find a helping hand. Finally, ensure that the work piece moves from the table saw to the out feed support in a smooth manner. There should be hardly any hitches when the work piece is passing through the blade as this could cause kickbacks. Such hiccups may end up damaging your tool and even cause unnecessary injuries. As a beginner, this would be sufficient knowledge and ensure that you always stick to the instructions provided by the manufacturer. Crosscuts are the other basic types of cuts that you can make. This is making cuts across the grain of the stock. Unlike the rip cuts, crosscuts do not need the rip fence; instead, you will need to have sleds of a miter gauge. Before making the cuts, you should ensure that the miter gauge is aligned such that it will make 90-degree cuts. You should lock down the work piece into the miter gauge, through whatever option that has been recommended by the owner’s manual. 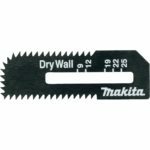 You should verify that the cutline is correct and this can be done by pushing the miter gauge forward up to the point that it touches the teeth of the blade. Then you can pull it back and then start the saw and let is spin to maximum speed before feeding the stock. You should use one hand on the miter gauge to feed the stock and it is important to have a push stick that you will use to push the stock through. Just like the rip cuts, you should ensure that the work piece supported properly, especially when you are dealing with larger pieces of stock. You can make use of multiple support extension that will work with your table saw, if you are in the business of always cutting through large work pieces. Even when you need to cut to length, you should not use a rip fence, unless there is a spacer that is designed properly. If you are making angled cuts, you should slow down the feed rate. This is a safety measure to ensure that the stock does not slip or bend. You should have different miter gauges for various angles. If the work piece is too thick, you should make two passes so as to maintain consistency and accuracy. These are the very basic operations of the table saw. The more you continue doing crosscuts and ripping, the better you will become in woodworking. There are more advanced operations like bevel cutting and resawing, but you should start from this basic level. Once you master the basic cuts, then you can give a try to the advanced hands. Every types of saw like electric chainsaw, gas pole saw etc, have some basic rules of operations. You should follow them properly to get a better cut. Whichever cut you choose to make, you should remember that you need to learn the proper technique and never compromise on safety. With such a starting point, you have a long way to go and it will be a worthwhile experience.